How have children's services changed in the past decade? This year the Association of Directors of Children’s Services (ADCS) celebrates 10 years since its creation. Whilst plenty has changed in our world during this time; much remains the same. I am proud to say I’m a DCS and that I have worked with children and vulnerable adults throughout my social work career in many different settings and guises. Throughout the years one very heartening thing remains unchanged for all of us following this path and that is our motivation for doing the work that we do. We do it to help vulnerable children and their families overcome adversity by making meaningful and positive interventions in their lives. We do it to make a difference. Child protection work is complex; contrary to the negative public narrative that is still too quick to vilify social workers in the rare instances when things do go wrong. In all my years, I’ve never heard of a social worker who goes to work thinking, ‘I’m going to do a bad job today’. It’s a testament to the strength and dedication of the profession that social workers continue to strive to do their best for children and families against a backdrop of greater need, new challenges, such as online grooming and exploitation, ‘sexting’ and cyber bullying, severely reduced resources and increased public scrutiny. While there is still a long way to go in terms of improving understanding of our work amongst the public I’ve noticed a more thoughtful reporting of child protection issues recently which considers the real dilemmas social workers face when deciding on how and when to intervene in family life. This is a welcome development. Since 2007 there has been a mountain of new guidance, legislation, reviews and investigations which have impacted upon our work with children and families, as shown by the children’s services policy timeline on the ADCS website (and if we factor in ongoing education reforms, the mountain gets even higher). In my view, the starkest difference and biggest challenge in our world is money. The financial picture in every local authority was much healthier 10 years ago. Funding was readily available to trial new initiatives or develop alternative programmes of work back then and we had an abundance of youth workers, our children’s centres had bulging toy cupboards and it was far easier to recruit and retain social workers. Since then we’ve seen our funding diminish. In Nottingham, our revenue grant has halved over the last four years, forcing us to make some really tough choices. The impact of budget cuts as a result of ongoing austerity policies cannot be understated, it permeates every part of our work. When funding is reduced so too is our ability to help those who are struggling. In order to balance the books, early help services that offer vital support to children and families before they reach the point of crisis are being dramatically reduced. This has likely contributed to the record numbers of children and young people we are seeing coming into care. While local authorities have made great efforts to protect spending on children’s social care, by innovating and redesigning our services in an attempt to do more for less, this approach can only take us so far. No one should underestimate how hard local authorities have worked to achieve efficiencies and protect the most vulnerable from the worst of these cuts but the impact of austerity on family life, the stresses and strains of the resulting poverty are now all too visible in our communities, particularly the most deprived. Sadly, this trend looks set to continue, the Local Government Association recently warned that by 2020 children’s services will face a funding gap of £1.9bn. This is seriously concerning – but what does this actually mean for our children and families? We are already seeing greater use of food banks, higher rates of homelessness and destitution, children’s centres and libraries are routinely closing, youth projects are being scaled back or disappearing altogether. A growing number of schools are running breakfast clubs in the holidays and teachers buying food, clothing and even sanitary products for their pupils. I read recently that over four million children now live in poverty, that’s almost a third of all under 18s in this country. All of this is deeply concerning in that it does not paint a picture of a country that works for children. We can’t go on as we are, otherwise we’re in danger of letting down an entire generation of children. The government has acknowledged the pressures facing adult social care and this is right but overlooking the storm clouds that are gathering over children’s social care is foolishly shortsighted. Children are our future; they are tomorrow’s leaders, teachers, police officers and doctors and nurses. We urge government to recognise the need for a long-term funding strategy for children’s social care. Brexit must not be allowed to swamp the policy agenda, otherwise we’ll count the human cost for many years to come. By working creatively, thinking differently and investing in children now we will reap the benefits in years to come. 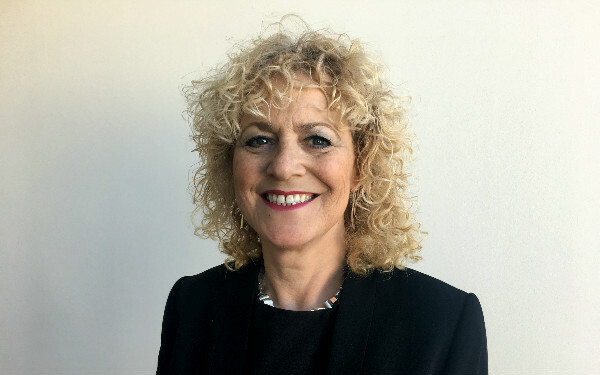 Alison Michalska is the President of ADCS 2017/18 and Corporate Director of Children and Adults at Nottingham City Council. 3 Responses to How have children’s services changed in the past decade? I have lots of experience in this environment and would be willing to share if you are interested. A good article, recognises the relentless hard work Social Workers do each day in the face of immoral and inhumane government budget cuts. At what point will Councils say enough is enough in terms of funding cuts. Some councils are better at rhetoric, spin, PR etc and good at feeding Ofsted the exaggerated positives but how does this serve the people whose lives we are supposed to be improving, those on the fringes of society we are supposed to be advocating for ? Nobody wants services to be privatised and people are understandably fearful of losing their jobs, and so in this world of “dog eats dog” nothing changes as everyone colludes inadvertently or otherwise to keep the status quo. Meanwhile across the whole of social care in childrens and adults services we are reaching or have reached crisis point. Is this a society we really want for the future. As mentioned in the article, the children we are letting down today are tomorrow’s future. At what point do we say no to government, enough is enough!